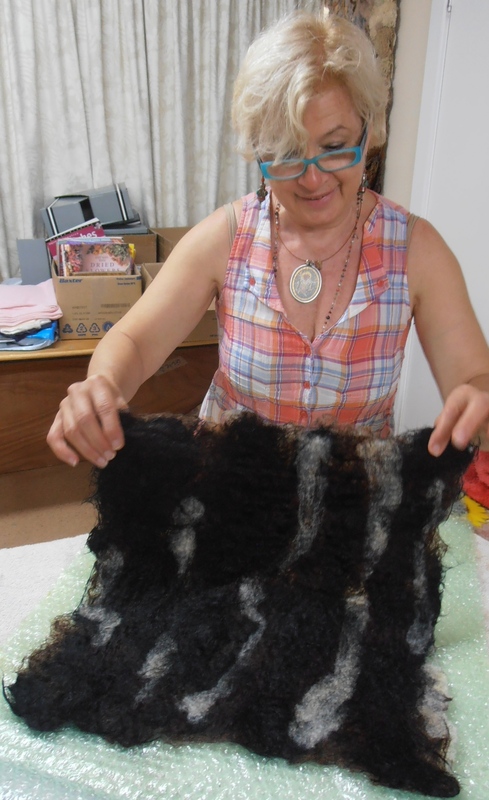 Here is Trudy with her beautiful nuno felted scarf. 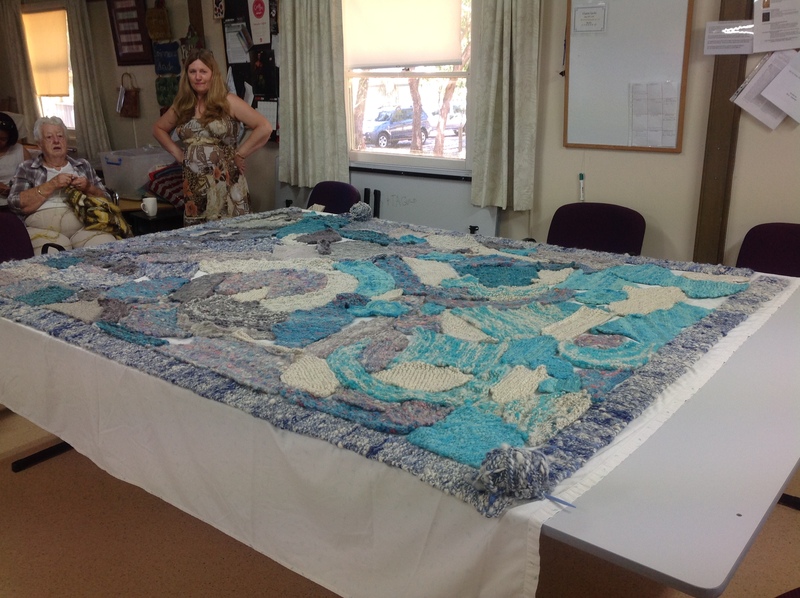 Trudy used Tissue Silk for the base and left an edge around to become a ruffle with the shrinking process. 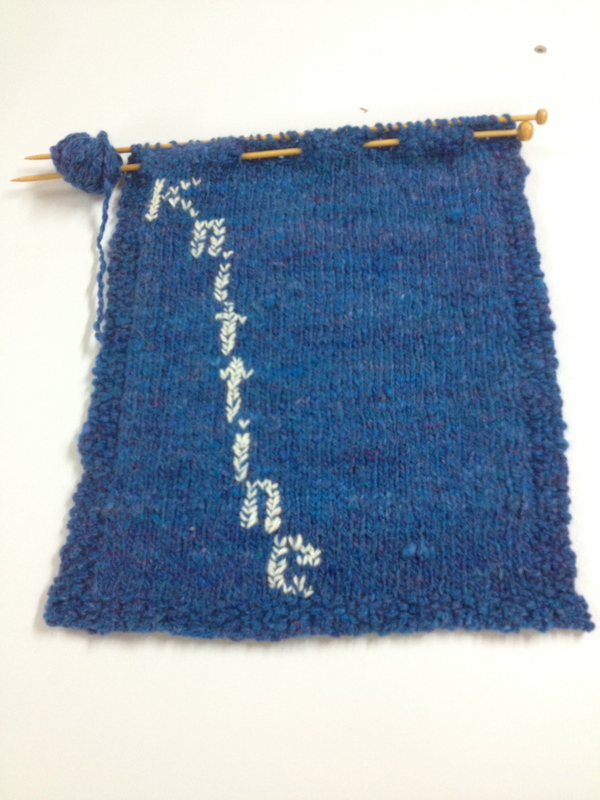 With little swirls left uncovered by merino tops, this made a magnificent finished shawl/scarf. Trudy is going to use leaves to add colour to the finished item. Look out for the next post to see her finished item. Beautiful work Trudy. By Lyn A. 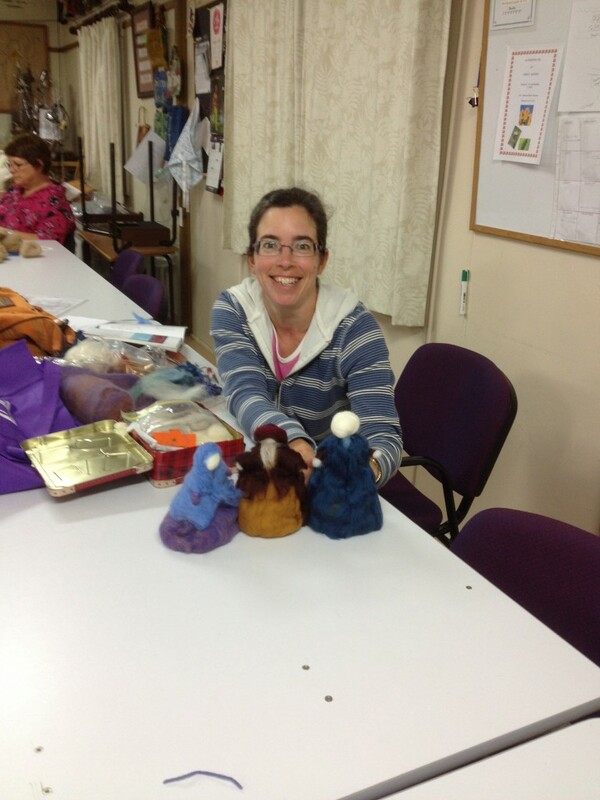 Here is a photo of Julie who attends Thursdays on the felting days. Julie made this lovely tea cosy with the wet felting technique, using a template inside. She then needle felted onto both sides of the finished cosy. It looks great and a lot of fun. By Lyn A.
Debbie found the list below in a message sent to her. It came from America around Thanksgiving time. It fills my life with colour. It keeps my hands busy. It introduces me to new people who share my love for the craft. It likes the same TV shows that I like. It keeps the same schedule as I do; if I want to knit in the middle of the night, it’s there for me. It likes to change bags as much as I do! It keeps me company, even when I’m cranky. 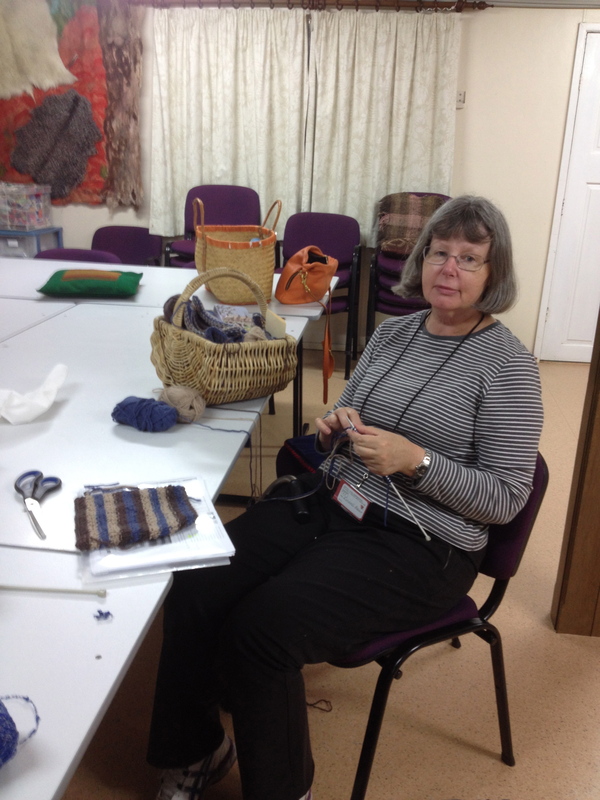 Here Rachel is knitting another one of her beautiful berets. The wool is such a lovely colour. These berets take only one ball of Rowan wool to make. Kate is felting some more of her dog’s fur. 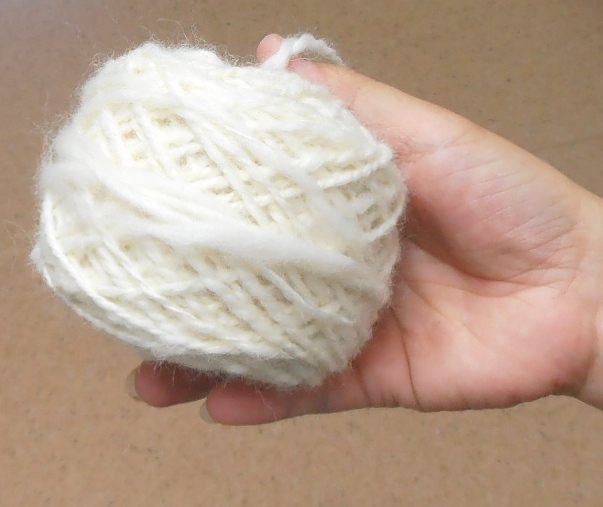 This time she has added some brown wool and white alpaca to the mix. The spinning ladies have been madly knitting odd shaped pieces using our handspun wool for our Moody Sky Rug. 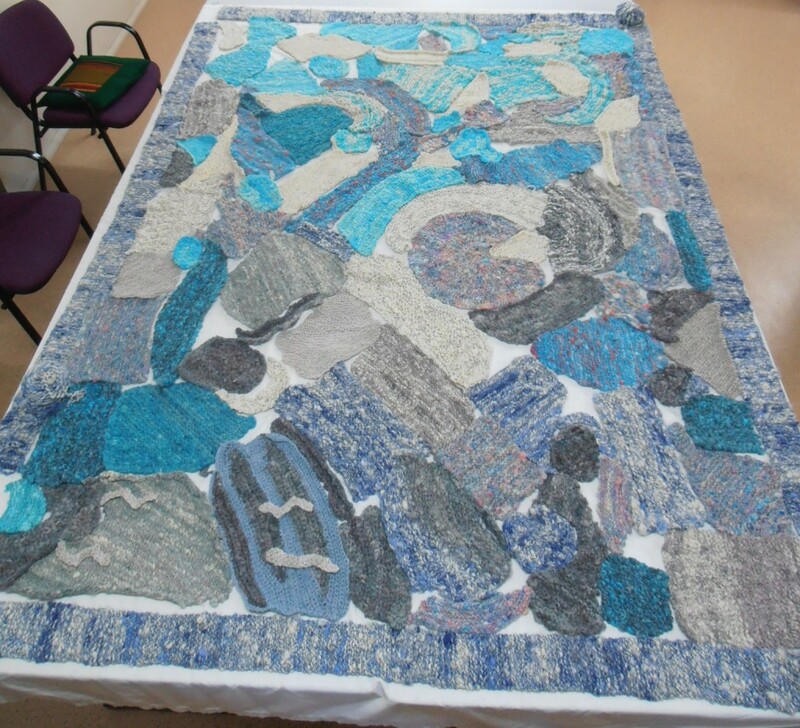 The rug will be raffled off at the Gathering when we host it in 2016. 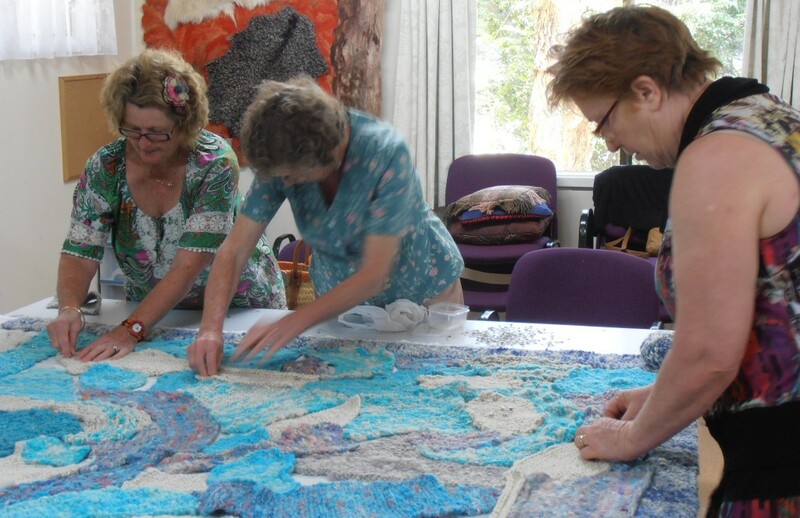 Here are some of the girls pinning the pieces to a backing sheet. Lyn will then join all the pieces together and crochet in the gaps. This is going to look fantastic! 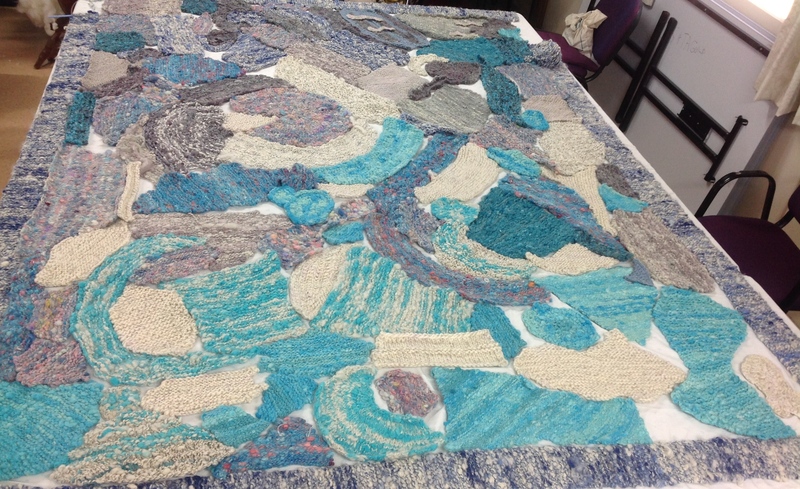 Lyndall is making a knee rug from squares in blue, cream and brown. Each square is unique with its own combination of colours, textures and patterns. Kathryn loves working on tiny felted creations and has a fabulous eye for detail. Her current work in progress is a selection of nativity scenes. 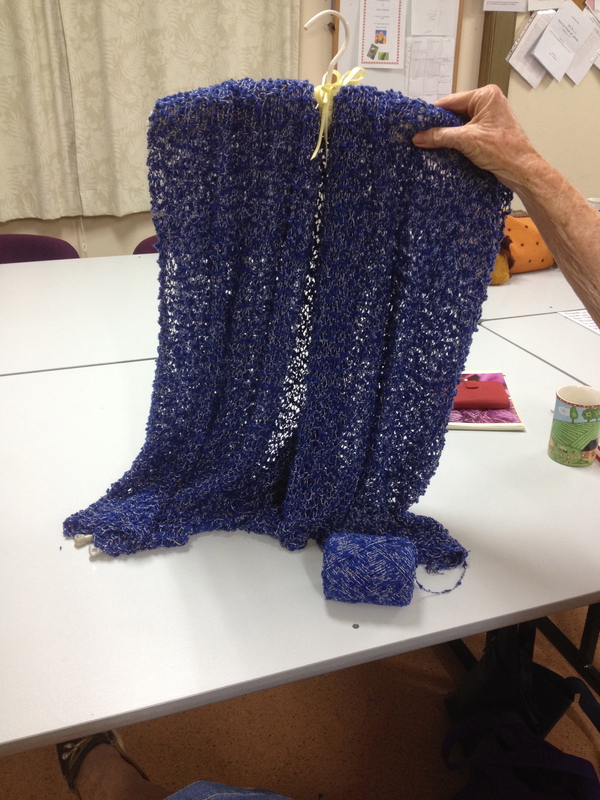 Fran is nearing the end of her latest project – a beautifully draping top in a rich blue colour, knitted on large needles with no blocking. Go Fran!